There are three books that I feel really opened my eyes and have continued to influence my life. Some of the things I want to share in my Blogs are the many books and articles that I have read since I began this journey. There have been so many “ah ha” moments that I have had and I want to share some of them with you. This was one of the first books that I read and one that I always take to events with me to share. I consider Victoria the Mother of Green Smoothies. This book is all about the science behind the power of greens, greens blended into smoothies and how they helped to transform her family’s health. I believe that this book should be required reading for High School and College students. 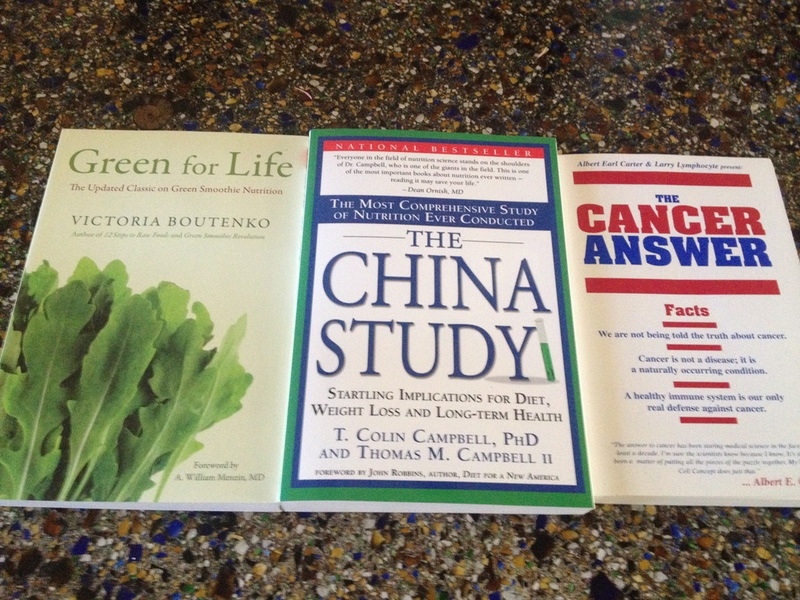 It is about the research that was done using populations in China to determine causes of cancer. The results are shocking and sadly, not well publicized. The toxin lurking in our diets is the casein in milk – that is the protein found in milk. Fascinating book. This is a book that is co-authored with Larry Lymphocyte, a cell in Al’s body. The first time I read this book, I closed my eyes and I felt like I was in 8th grade science class. What I LOVE about this book is that his approach to explaining what the body needs – the 750 trillion cells in our body – takes a very complex subject and puts it in terms that everyone can completely understand. Another of my “ah ha” moments. This book is beautifully written and perfect for any age reader. His Healthy Cell Concept really represents the basis for health. I was so moved and impressed with Al Carter, I went on to take his certification course in reboundology – fascinating!